Heavy winter hat made for extremely cold weather. Heavy winter hat made for extremely cold weather. Offers circular protection from the wind. 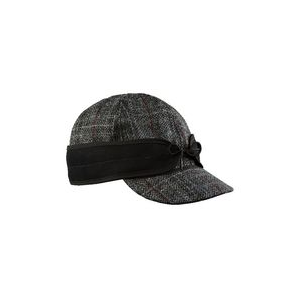 While this hat has the traditional design, the materials are modern and top-tier. Has limited use due to its warmth. I purchased this hat about five years ago for use on occasions when the temperature drops far below -10°C (14°F), and my other hats offer very little protection against cold wind. The name of this model means simply “a hat” in Russian, so obviously its design was inspired by traditional Russian winter hat “ushanka”, which is usually made of fur. Such hats were very popular in Russia in the 20th century, and they are still extensively used by armed forces and in rural areas. 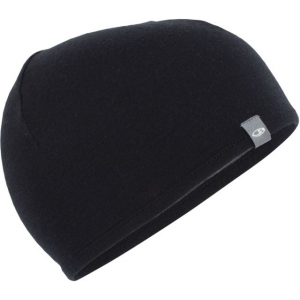 The customary style of wearing such hat includes the earflaps secured above the head, even in extreme cold. Of course in such way the hat loses most of potential warmth, but lowering the flaps and/or tying them below the chin is considered somewhat peasant-like. In armed forces wearing the hat flaps-down is allowed below -10°C, but not in the presence of high ranking officer wearing his hat flaps-up. So I can only welcome the fact that such a renowned brand as Jack Wolfskin has implemented the traditional style in modern hat. 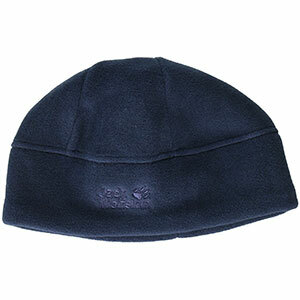 Unlike the classic predecessor, the Shapka hat uses extremely warm Stormlock Fleece fabric resembling the look of fur. This fabric is relatively lightweight, quickly drying and completely windproof. I can only welcome such innovation, as I always prefer the modern windproof fabrics over traditional ones. 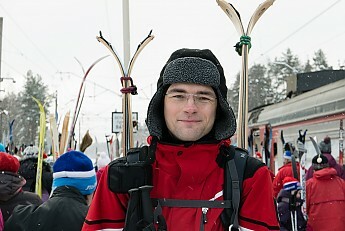 Securing the earflaps under the chin is necessary only below -15°C (5 °F), in such case the hat covers the entire head, exposing only your face. Usually it's not that cold and I wear the hat with earflaps hanging freely. Such style of wearing leaves the ears almost without protection from the front wind. So in most cases I put the Shapka hat over the head band made of Windstopper fleece. In such way the protection from the wind is perfect even without securing the earflaps. Operating the traditional buckle is really tricky (next to impossible) while wearing the gloves. The buckle is very small, and you need to guide the pin into the hole in leather strap without seeing or feeling it. A plastic QR buckle, like on bike helmets, would be much better. 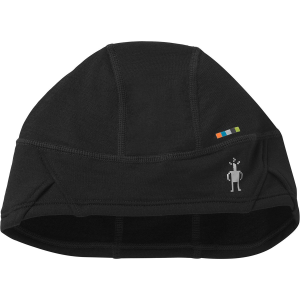 The design of this hat allows securing the earflaps above the head, but that’s absolutely useless outdoors, as in such way the hat covers only the uppermost part of the head, fully exposing the ears. It would be too cold even at +5-10 °С (40-50 °F), so even a tiny Windstopper band would offer better protection. With earflaps down, the look of person in this hat is highly unusual here in Russia, and probably it’s not a good addition to the city clothing, unless in severe cold (when nobody cares about the look). I always take this hat in winter on Siberian trips (where my parents-in-law live), as the temperatures there may easily reach -35°C (-31 °F). 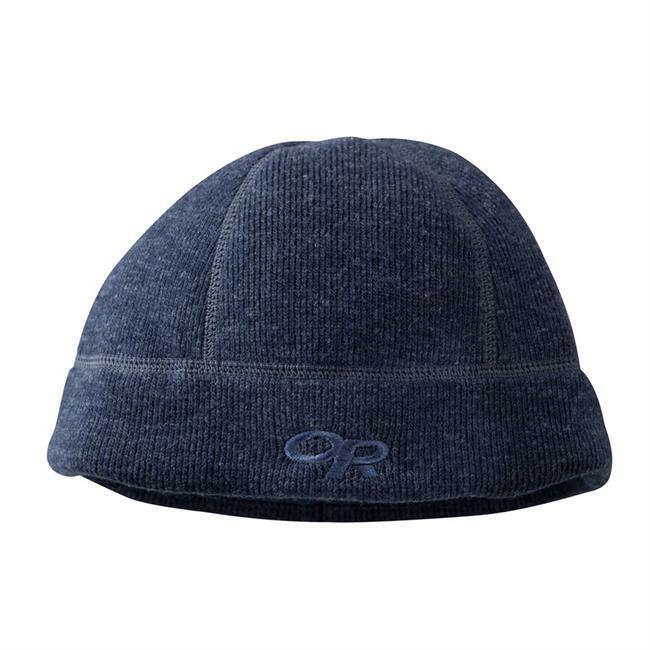 Also I use this hat in my outdoor trips with temperatures below -10°C, especially if there is a risk of strong wind. I especially like the fact that I can undo the earflaps, and the hat will remain quite comfortable indoors or during the physical activity. In the meantime the secured flaps make this hat suitable even for the coldest weather conditions. 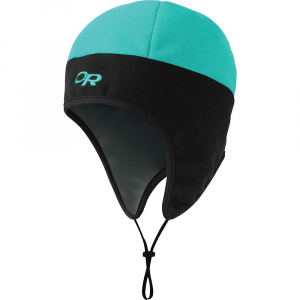 So in general this is very nice option for those looking for really warm hat with especially good protection against wind. Unfortunately this model has been discontinued, but my copy still looks like new after many years. Nice review, Vladimir! I also like that style of hat when it's very cold out. I also enjoyed reading about the hat flap protocols! 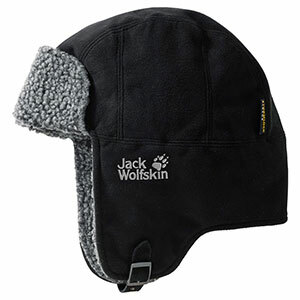 The Jack Wolfskin Stormlock Shapka is not available from the stores we monitor.